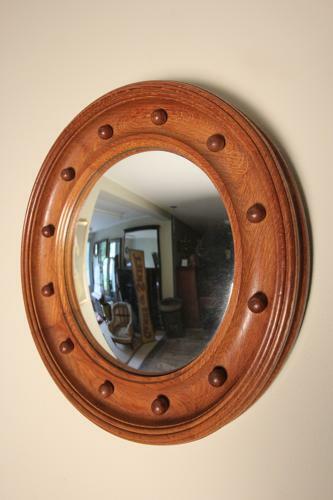 A stylish early 20th century English Oak Convex mirror by Heals of London, with the original mirror plate of which gives a good clear reflection. Having a moulded frame with carved ball decoration to the surround. Superb colour and original finish. Heals of London, English, Circa 1920.